Is the Muslim Brotherhood Moving to Sweden? According to the news channel 24.ae, based in the United Arab Emirates, the Muslim Brotherhood is considering moving its international headquarters to Sweden. In security policy circles in the Middle East as well as into the White House, rumors have been going around for some time, and they picked up on January 21 when Donald Trump was sworn in as the 45th President of the United States. A terrorist designation of the Brotherhood would have far-reaching consequences in its relations to many allies in the Middle East, especially Turkey, and a full blacklisting of the organization is, despite its ties to Hamas and informal cooperation with the Islamic State, unlikely. However, it is possible and even probable that the U.S. will establish mechanisms to impede or prevent the Brotherhood’s financial transactions. A softer measure would thus be to include the Muslim Brotherhood on the U.S. Treasury’s blacklist. The Brotherhood will then have to find other countries to operate from. In Sweden, the infrastructure is ready if a move would happen. IFIS, the Islamic Association in Sweden, has for some time been operated as a foundation and is co-owner of the study retreat Granhedsgården. Omar Mustafa, the principal of the study association Ibn Rushd, was the architect of this setup. Through this structure, financial transparency is limited. Abderizak Waberi is proof of the connections between the IFIS and the Brotherhood. Waberi, the former chairman of the IFIS, is today the FIOE’s (the Brotherhood’s European federation) deputy chairman and PR manager. Abdirizak Waberi is the principal of the Islamic school in Gothenburg, which is now launching a program for 500 students. In Sweden, there are more players close to the Brotherhood in key positions. 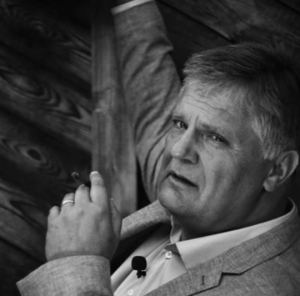 The initiator of the academic petition criticizing the MSB (Swedish Civil Contingencies Agency) and Magnus Norell’s pre-study on the Muslim Brotherhood, Emin Poljaveric at the Department of Theology at Uppsala University, has connections that he’s not divulging. He also teaches at Qatar University. Qatar is, as is widely known, the Muslim Brotherhood’s own bank since they were forced underground in Egypt. Qatar University is far from independent of its government policies and other relationships and is considered one of the Brotherhood’s most important bases of the Islamic heartland. No smoke without fire. There are good reasons to expect some form of reorganization of the Brotherhood’s resources if Mr. Trump implements his plans to impede the Brotherhood’s activities in the United States. Sweden could be an option since Abderizak Waberi and Omar Mustafa have masterfully prepared an infrastructure for its operations. Completely within the law.